The importance of having a post-rugby recovery program should be pretty self-explanatory. But unfortunately, most amateur rugby players don’t focus anywhere near enough on their recovery after rugby games. It’s a shame. Because this three to four hour window is the time where you can gain the most benefit from a rugby recovery program. But it’s also the time when you can do the most damage by not having one. These programs are designed to give you options in your recovery. Not everyone wants to take a contrast bath. Not everyone wants to skip alcohol in favor of a protein shake. But thankfully, there is a rugby recovery program for everyone. Just try one of the programs outlined in this book and we promise, you’ll notice a massive difference when you need to turn up to rugby training on Tuesdays. 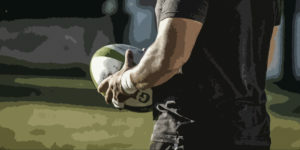 WHY USE A RUGBY RECOVERY PROGRAM? There is no denying it; rugby is a tough game. Not only does it demand a high level of strength, conditioning, and skill, it’s also one of the most physically intense games on the planet. Football players wear helmets and pads; hockey players have what amounts to knight-like armor but rugby players? They’re almost naked! In the bad old days of rugby, recovery was limited to a quick shower or bath, a couple of beers in the bar, and whatever food was served up at the post-game dinner. Recovery was very much a passive process that naturally happened over time in spite and not because of the actions of the players. Modern rugby is, however, more demanding. Players are bigger and stronger than ever before, and even amateur teams demand high, professional standards that, if you cannot meet, could mean losing your place for good. If you are serious about rugby, you need to be serious about recovery too. As it turns out, you can speed up recovery by taking a more active approach. 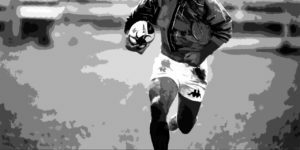 In those bad old days, rugby players were smaller, the game was slower and less intense, and most guys played “for the craic.” This attitude meant that recovery was less of a consideration than it is today. WHAT DO THE 10 PROGRAMS COVER? Cryotherapy is a popular rugby recovery program, especially amongst professional rugby players. However, it’s far from relaxing or enjoyable and is something many players dread! There are several different protocols available to use. It very much depends on what facilities you have available. The colder the temperature, the shorter your exposure needs to be to achieve the required tissue cooling effect. Because ice can cause painful burns, it is essential to monitor the skin for signs of damage, especially if it is in direct contact with the ice. Reddening of the skin is completely normal, but if the skin begins to go white, the ice should be removed. When using ice packs, you should place the ice on the limb being treated and not the limb on the ice. This makes it easier to check the condition of the skin and ensures circulation is not cut o to the area being treated. Immersion cryotherapy is best performed immediately after your cool down however localized ice treatment e.g. ice packs or ice massage, can be done as needed. 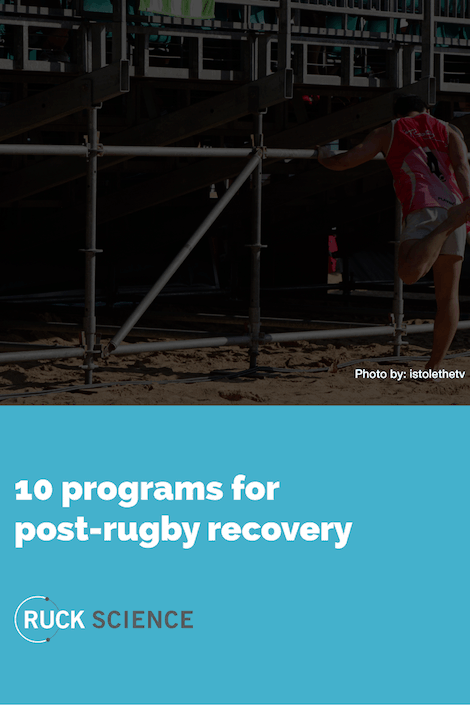 We’ve done our best to lay out a series of practical approaches to rugby recovery in this eBook. But we weren’t able to cover every possible rugby recovery program in these pages. If you’re looking for ways to adjust one of these recovery programs to your specific needs OR if you have a question about a specific topic like yoga or use of anti-inflammatories, our blog can help fill in a lot of those gaps. 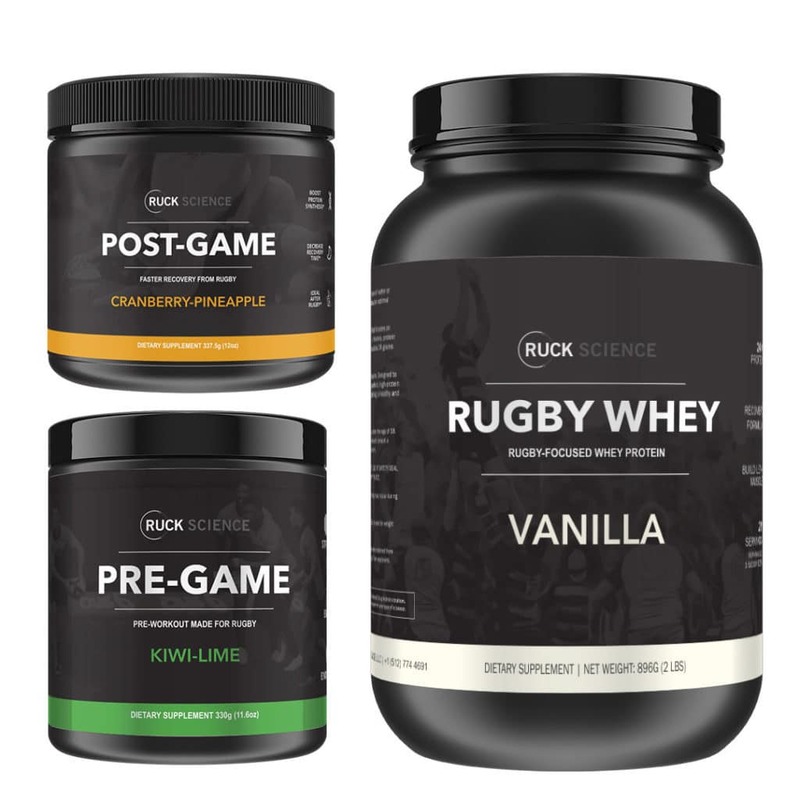 Here are just three of our recent posts that deal with how best to recover after a rugby game. 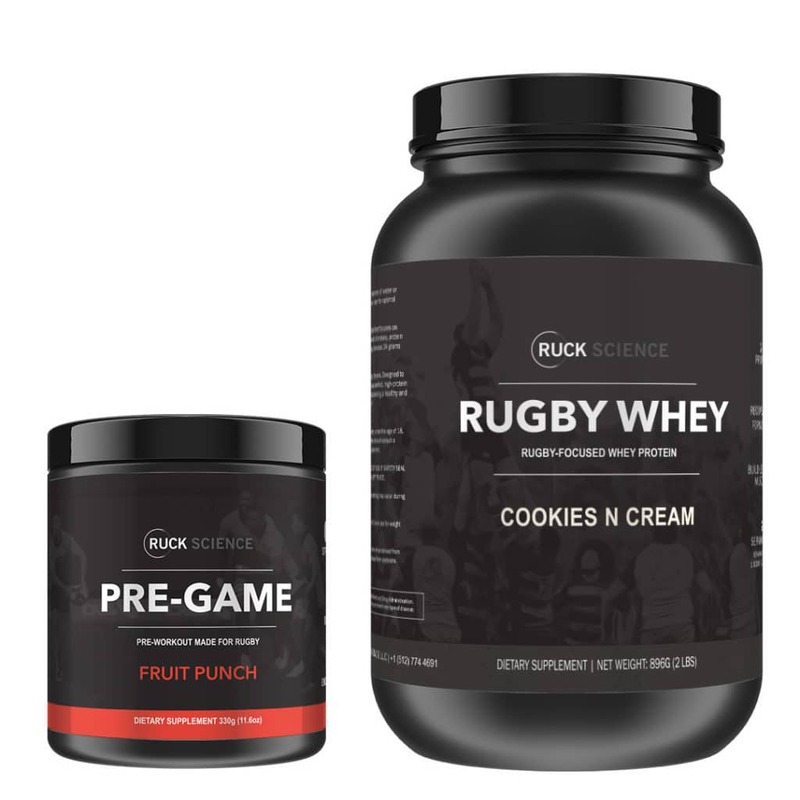 Not every supplement or stack is ideally suited for use by rugby players after rugby games. That’s one of the reasons we’ve created the formulas you’ll find here on ruckscience.com. Below are the best supplements and stacks we’ve created that can help accelerate your recovery. Can’t find something you need? Please feel free to contact our product team for usage instructions and updates on future product releases.